All of ProgressiveEnviro's wastewater reclaim system and water reuse system technologies are engineered to match your unique water treatment challenges. Our equipment is durable, specifically designed to provide users with extended, trouble-free operation. We will to assist you in the design, construction, and operation of your water-reuse system, starting with piloting to ensure the selection of the right technology. From design to financing, ProgressiveEnviro is committed to providing innovative and cost-effective solutions to water and wastewater problems. Small and medium sized companies typically do not have the staff to evaluate compliance with regulatory laws. Our staff can assist you in determining the appropriate program to comply with local, state and federal regulations regarding wastewater discharge, if any, and/or hauling and disposal of hazardous and non-hazardous solid waste. Our on-site pilot systems ensure the performance of the system you selected. Matching separation technologies with a particular process chemistry can be crucial. Many applications do not require a pilot system, while others require an on-site system to verify system design. Our analytical approach and wide range of separation technologies can help you avoid purchasing inappropriate or wrong equipment. We offer start-up to turnkey installations and a full range of support services to meet your specific needs. We offer options ranging from simple telephone installation assistance to full turnkey installation with a 24 hour, 7 day a week service contract. A turnkey installation can be fully project-managed by our team, or project-engineered under your direction. Wastewater is the ultimate untapped resource. ProgressiveEnviro's approach is to see wastewater as an opportunity, not a burden. Today’s technology developments allow us to realize this vision and offer advanced wastewater reclaim processes. Whether it’s ensuring that industries meet stringent reuse and discharge compliance or recovering water and wastewater from processes, ProgressiveEnviro will seek to maximize wastewater’s true hidden value. Water recycling systems enable companies to be proactive with water stewardship. ProgressiveEnviro.com's industrial water reuse equipment integrates seamlessly into existing industrial wastewater treatment processes to reclaim effluent, treat it, and then supply the purified water back to the facility wherever it’s needed: from painting and plating rinse lines to Deionization feed water to cooling tower makeup water and more. Our innovative and flexible equipment allows us to turn what was once wastewater into high-quality process water. 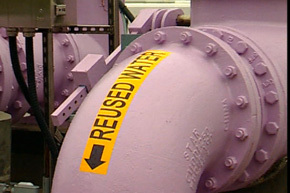 The treatment process for a ProgressiveEnviro.com industrial water reuse system is tailored to the specific needs of the facility (some processes require higher purity water than others), and all treatment programs are designed to reduce solids generation (sludge) and allow for reuse of 100% of the reclaimed wastewater. Recycled water can be used in a variety of applications across industries, both inside a facility and in the community. Typical uses for recycled water include surface irrigation for orchards and vineyards, golf courses, landscaped areas, and food crops. Other uses include recharging groundwater, preservation or augmentation of ecosystems such as wetlands or riparian habitat, and in industrial processes. Nonpotable water can be used for toilet flushing, irrigating landscaping, washing vehicles and streets, and other similar purposes. Treatment technologies for water reuse are, for the most part, derived from physical, chemical, and biological processes used for wastewater and drinking water. Treatment technologies include: membrane bioreactors, microfiltration, ultrafiltration, nanofiltration, and reverse osmosis, which are particularly effective for producing high-quality reclaimed water. All of these technologies must comply with strict purification standards, and guarantee process water free from bacteria and viruses. ProgressiveEnviro's treatment skids engineered to filter and disinfect harvested rainwater, greywater, foundation, storm and process for reuse as cooling tower, toilet, water features, and irrigation makeup water. ProgressiveEnviro.com skids feature a controls system to monitor onboard diagnostics and integrate with an existing building management system. Controls system comes with a programmable touchscreen and remote access capability via Internet connection. All components are skid-mounted, pre-wired, pre-piped, and sized to meet project parameters. Standard treatment skid includes a centrifugal separator and a bag filter for filtration, and an ultraviolet lamp for disinfection. Filtration and disinfection techniques can be customized as needed. ProgressiveEnviro also offers additional system options, such as cistern, booster pump, and hydropneumatic tank selection and sourcing services, and controls system upgrades. ProgressiveEnviro provides all types of water reclaim / reclamation systems. From waste water reclaim systems to Industrial water recycling and reuse, ProgressiveEnviro.com can offer components or design new filtration and treatment systems to decrease discharge, lower costs, and improve water quality. For example, ProgressiveEnviro.com sells and services reclamation system parts, components, pumps, etc., to customers in Ohio (OH), New York (NY), Massachusetts (MA), Connecticut (CT), Rhode Island (RI), Pennsylvania (PA), West Virginia (WV), Kentucky (KY), Indiana (IN), Illinois (IL), Michigan (Mi), North Carolina (NC), South Carolina (SC), Georgia (GA), Alabama (AL), Tennessee (TN), Florida (Fl), and Texas (TX). ProgressiveEnviro.com, 1-800-491-5815. Water Reclaim / Reclamation Systems for business and industry in the mid western, central and southern states. Waste Water Reclaim Systems sales and service in Ohio (OH), New York (NY), Massachusetts (MA), Connecticut (CT), Rhode Island (RI), Pennsylvania (PA), West Virginia (WV), Kentucky (KY), Indiana (IN), Illinois (IL), Michigan (Mi), North Carolina (NC), South Carolina (SC), Georgia (GA), Alabama (AL), Tennessee (TN), Florida (Fl), and Texas (TX). 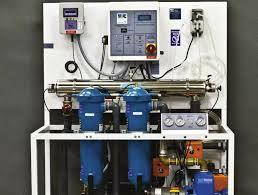 Waste Water Systems technology is an actively growing industry. Progressive Environmental LLC., integrates the proper solutions for Waste Water Treatment Systems that reuse grey water or rain water, or used industrial water. Water recycling saves money and helps the environment. ProgressiveEnviro.com can troubleshoot an existing Industrial Water Recycling System or design a new one for your application.